§ The Problem: By what sort of mathematical physics can the following phenomena of nature shown in this video be explained? 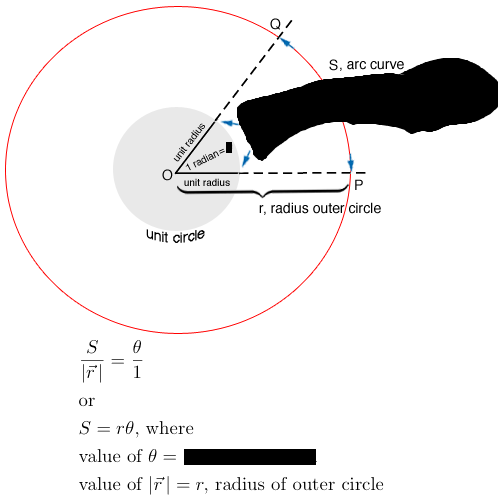 C = 2π⋅radians, newer radian circumference equation. ∗note: π or Greek pi comes from the first letter of the classical Greek περιΦερεια 'periphery' and Περιμετρος 'perimeter' or circumference. In both cases for either 'r ', radius, or radians, the interpretation still is how many "2π - radii" can be laid around a circle's circumference in order to complete 360° degrees. where is a normal unit vector perpendicular to the plane and because is a scalar multiple of , hence is perpendicular to both and and therefore defines a plane. note: gives vector direction and gives magnitude of vector . is both the magnitude of 'cross' as well as the area of a parallelogram described by vectors and . 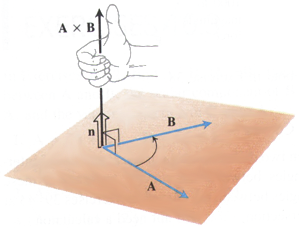 Any force applied at a distance away from a pivot axis point is called a torque or torque force. note: if we increase the length of the bar to, say, 30 feet, then the magnitude of torque force becomes 649.50 ft-lbs which is considerably greater given the extension of length by a factor of '6'. Archimedes ( Ἀρχιμήδης, circa 340 AD; one of the most important of the Hellenist Greek mathematicians of antiquity ) is famously quoted by Pappus of Alexandria as having said "Give me a place to stand on, and I will move the Earth" which is an historical statement of the mathematics of torque and hence the power of leverage! note: although we imagine in our mind's eye that a nearby force such as and are directed strictly downwards, it is absolutely true that all forces follow gravitational fields and in the case of earth's gravity pull, all nearby earth - forces follow an [ indiscernible ] "orbital curvature" towards earth's center. 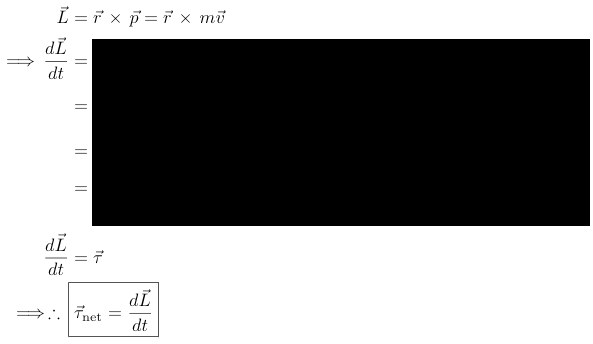 Each mass exhibits a downward earth gravitational acceleration, , against a pivot axis at point P whose magnitude of torque force is directly determined by the respective distance of away from P.
note: 'torque' derives from the Latin torquere, to twist. 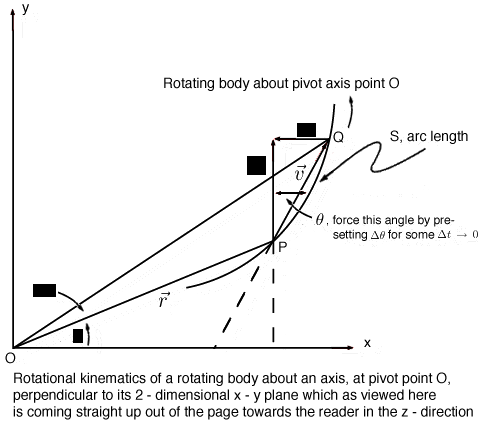 Notice that what has already been described up until now are rotational forces about a pivot axis point as opposed to linear, straight - line forces due to acceleration of masses. 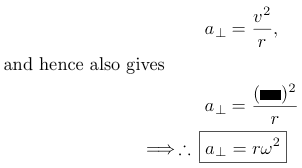 Notice that ' ' and ' ' differ only by , a directional radius vector. 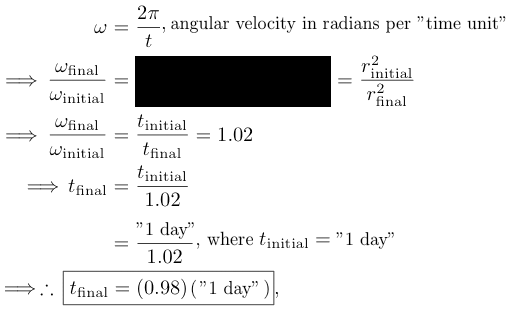 which is radial [ linear ] or centripetal acceleration in terms of angular velocity. 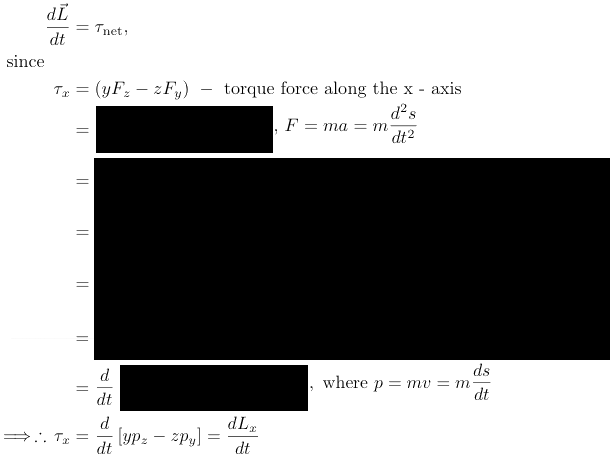 where torque vector is perpendicular to the the x - y plane given by force vector and radial vector . 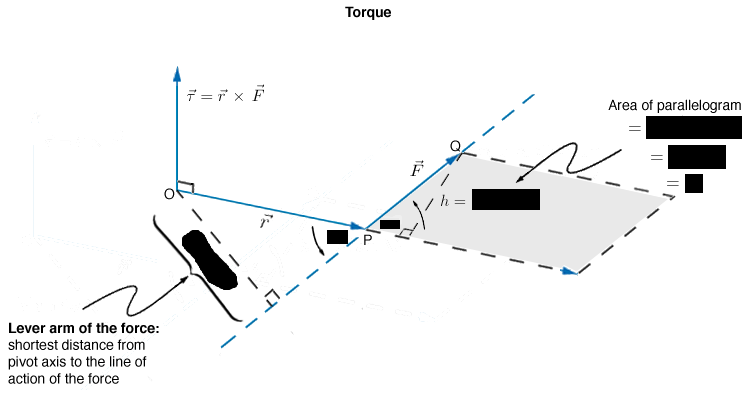 ∗∗∗note: torque is also called "moment of force". See definitions above for 'moment' and 'torque'. From this we can easily discern the z - axis torque component of force! for respective torque components of force for work performed thru the same change. and therefore no work or expended energy. to the given axis of rotation. 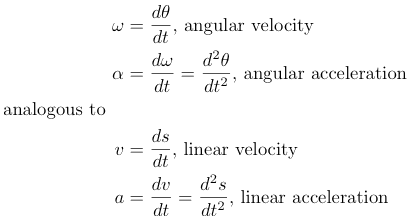 where each point - mass has a tangential linear velocity perpendicular to with angular velocity and therefore . thus, we arrive at a deeper understanding of rotating bodies in motion. 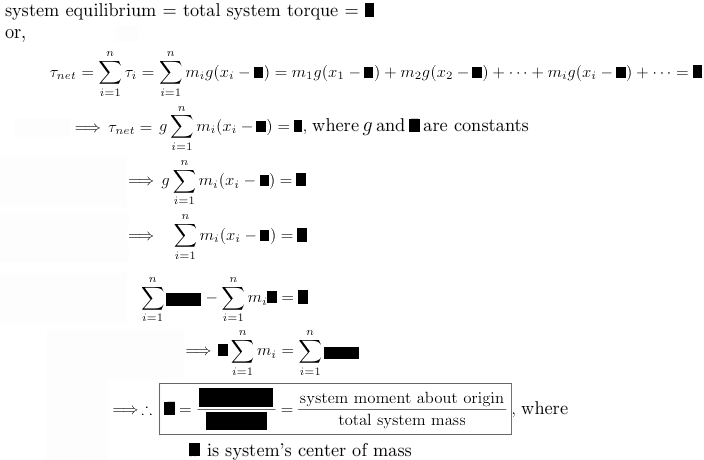 That is, whereas total mass, , itself is constant for , "relativistically speaking", becomes a "rotational mass" analogous to the traditional concept of mass during linear translational motion. 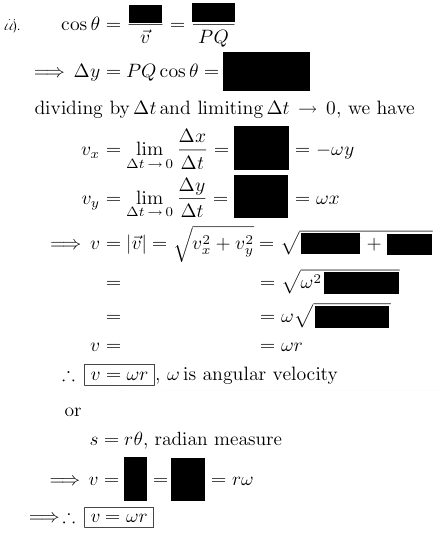 Thus when speaking of rotating bodies, velocity is replaced by angular velocity and traditional mass in linear motion is replaced by moment of inertia analogous to mass. Moreover, moment of inertia depends not only on traditional mass but equally upon how far away that mass is from a given axis of rotation ! where each is the 2 - dimensional distance squared, even for a 3 - dimensional object. since sin 90° = 1. 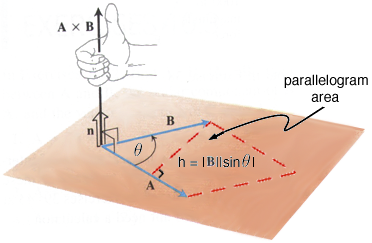 By Newton's 3rd Law of Motion, all internal torque forces are equal and opposite and so cancel each other out; therefore what remains to be observed for the overall system is that the system responds only to external [ unbalancing ] torque forces which in turn can change the system's angular momentum. 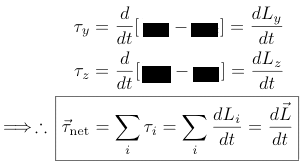 The entire physical mathematics for torque, moment of inertia and angular momentum is entirely predicated upon the ideas of homogeneous and isotropic space - time which in turn are mathematically based upon Emmy Noether's Theorem, namely that the physical laws for energy conservation are fundamentally derived from the proposition that they are invariant with respect to time and therefore can be derived for any space - time continuum. 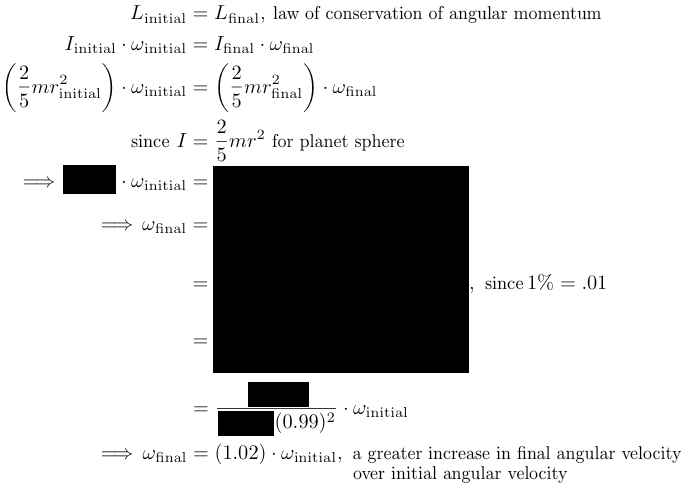 angular momentum itself is unchanging or constant! 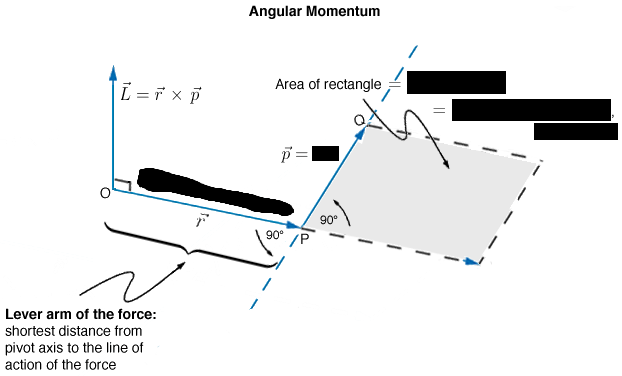 That is, angular velocity must counterbalance moment of inertia in order to conserve angular momentum whenever there is no additional torque applied to the rotating system. is something still to be examined. In other words, what does balance, or rather is conserved, is , not ! Question: from where, therefore, does the extra energy come? The answer is that extra work and hence an expenditure of extra energy occurs by drawing in the arms and thereby countervailing the energy contained in the outward centrifugal forces of rotating masses - i.e., the outstretched arms. In other words, the angular momentum of a planet going around the sun is constant since there is no torque about an axis at the sun. Now according to Kepler's 1st Law ( Planetary Law of Ellipses ), all planetary orbits are ellipses with the Sun at one of the two foci with nearer positions ( the perihelion ) and farther positions ( the aphelion ) from the center of mass, the sun. Now, as the gas - dust - rock sphere contracts inward to form a more consolidated planet by, say 1%, therefore by how much does its "day" lengthen? Shorten? Stays the same? which means that a 1% contraction of the initial gas - dust - rock spherical planet will result in a 2% decrease in the "time length" ( or time duration ) of a planet's "day"!! This again completely comports with Britney's faster angular velocity when this marvelous young ice skater pulls in her arms. In fact, if Britney were a rotating clock approaching the speed of light, c, her "time" would slow down ( or time dilate ) compared to a relatively stationary clock! note: this example is the one used in the future upcoming Relativity Science Calculator Mac application with the exception of substituting an imploding gaseous hydrogen star for the hypothetically gas - dust - rock planet posited here.